Thua Thien Hue Province, Vietnam, April 2015 – Two years after the opening date, Laguna Lăng Cô Golf Club has proven its position as a vastly unique and distinctive championship course in the region, successfully awarded Best New Golf Course in Asia-Pacific over 2013 – 2014. The Golf Club will celebrate its 2-year Anniversary with the second Laguna Lăng Cô Golf Club Championship on May 23rd, 2015. 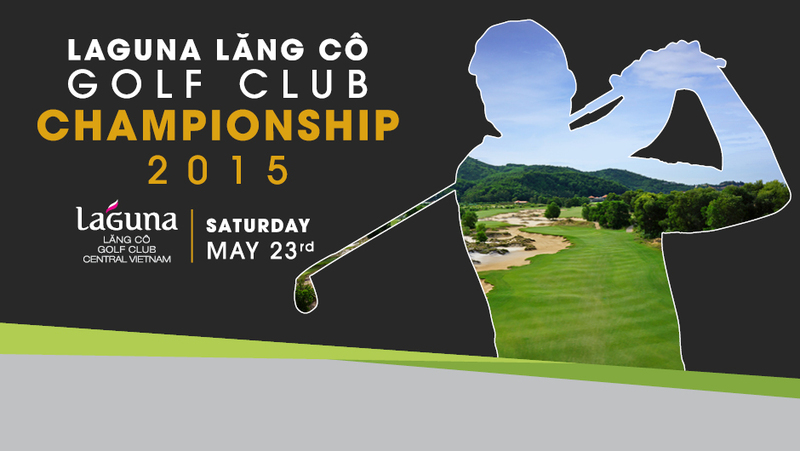 Laguna Lăng Cô Golf Club’s members and members’ guests will compete over 18 holes on May 17 at the Laguna Lăng Cô Golf Club Championship 2015. The golfers will be divided into 3 groups: Division A for members with handicap 0-23, Division B for members with handicap 23-36, and Open Guest Division for golfers with handicap over 36 and non-member guests. The event is growing to become Laguna Lăng Cô Golf Club’s most important annual golf tournament and also a notable event in the region’s golf scene. Two years after the opening date with operation in full swing, Laguna Lăng Cô Golf Club has already risen to the top as one of the most celebrated golf courses in Central Vietnam, a destination that cannot be missed for golfers who want to challenge themselves in the Central Coast. Laguna Lăng Cô Golf Club is one of the “must-go” golf destinations in Vietnam’s central coast area and is the first in the country to have Zoysia fairways and Tiff Eagle greens. The course is nestled between mountains and sea on a sandy strip of dune land that is perfect for golf. Starting from an open paddy field environment beside a large lake, the layout moves towards the edge of a mountainous forest area before swinging towards the beach at the ninth hole. This 6,961-yard, par-71 course is the 26th course designed by the six-time Major winner and is arguable his boldest and best creation yet. Situated about an hour’s drive from Danang International Airport, Laguna Lăng Cô Golf Club is located within the greater Laguna Lăng Cô, a US$ 200 million fully-integrated resort development by Banyan Tree and the first in Vietnam. The resort is framed by a three-kilometre beach in the Chan May-Lang Co area, renowned for its pristine coastline, natural scenery and proximity to UNESCO World Heritage sites. The resort features Banyan Tree and Angsana hotels and spas, villas and residences available for sale, maritime facilities and an activity centre for children. For more information on the Laguna Lăng Cô Golf Club Championship 2015 and Laguna Lăng Cô Golf Club, please visit lagunalangco.com.